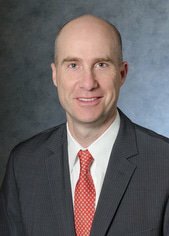 Brendan Cullen is a partner in Sullivan & Cromwell’s litigation group and serves as coordinator of the firm’s appellate practice. Mr Cullen has litigated a broad range of matters, including complex securities, commercial, intellectual property and antitrust litigation, frequently with a substantial technological element. He has advised and represented clients in arbitrations, in cases in state and federal trial courts and on appeals before state and federal appellate courts, including the US Supreme Court. He also has conducted numerous confidential internal investigations, including investigations related to issues of corporate governance, securities matters and Foreign Corrupt Practices Act compliance, and involving numerous countries throughout Asia, Europe, the Middle East and Latin America.